Do you have a birthday party coming up? Or are you looking for something to do during the school holidays? Why not visit Delta Force; we organise the most action-packed days of paintball adventure for a great kids day out! This is just one battle scenario you can experience in a full day of paintball action with Delta Force. So grab your mates, make a booking and visit any of our centres throughout Australia for your shot at paintball heroism. Delta Force offers an exciting, safe, convenient and healthy environment for everyone to enjoy an action-packed day of paintball adventure. Our amazing game scenarios offer the perfect weekend or holiday visit for children and adults alike. Delta Force has an outstanding safety record and an enviable reputation for organising great days out. Our trained marshals have years of experience in paintball games, and create an exciting atmosphere in the scenarios, whilst ensuring the safety and comfort of all players. The safety regulations implemented at Delta Force are second to none; from full head protection goggles and body armour, to 5-star membership of the AUPBA and full Public Liability Insurance, we pride ourselves on an unparalleled safety record. Would you want to play paintball with an operator that doesn’t place such a premium importance on player comfort and safety? Young Gunz must have a parent or guardian sign their parental consent form before their paintballing event. 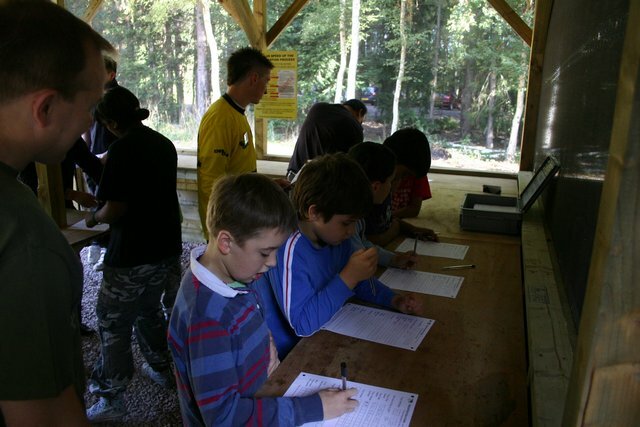 Young Gunz filling-in the registration forms before their paintball event (Dad and Marshal helping). Paintball is a physically demanding activity and requires certain physical abilities. 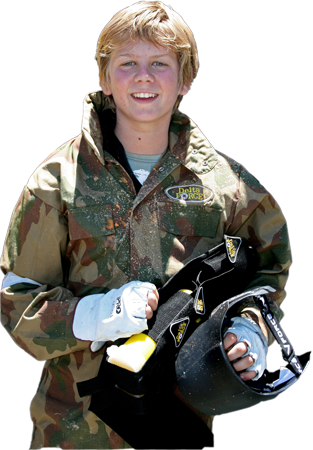 While Young Gunz with disabilities are welcome to play at Delta Force, parents/guardians need to be aware of the nature of paintball and the game terrain, and make a subsequent decision based on the physical abilities of each player. To help you with this, we have compiled an information for parents guideline with details of what children can expect from a day of paintball.